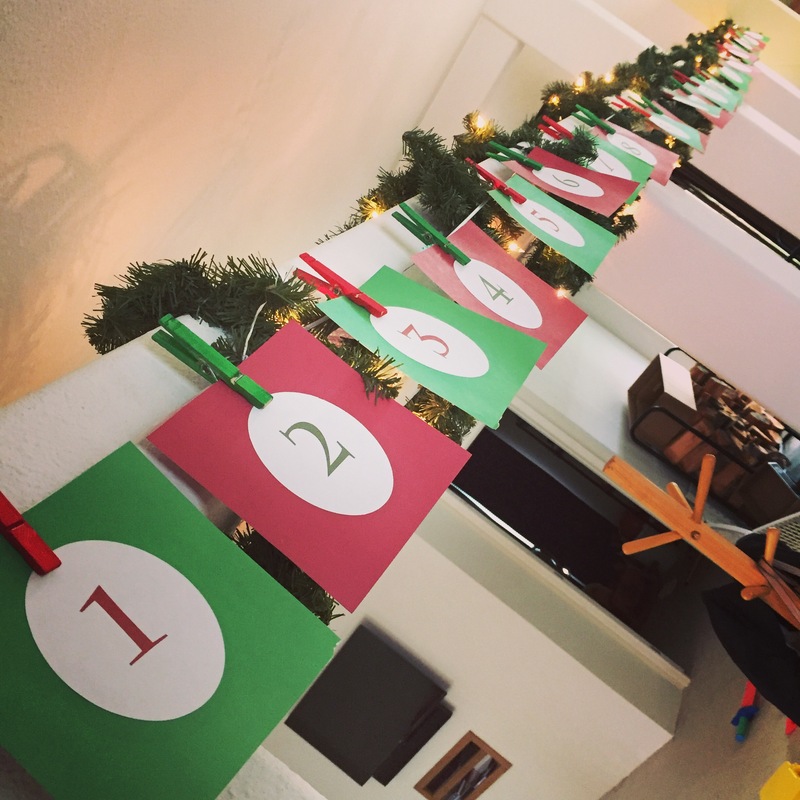 This marks our fifth year of the Advent Activity Calendar. I love the tradition this has created. Rylee remembers it now and has asked for it for the last 2 years. Reese isn’t there yet, but when she got home from daycare last night and saw it all set up, she was super excited. And Lincoln? Well, as with any third born, he’s still just along for the ride at this point. My plan was to get it all set up after the kids went to bed on the night of November 30, so that when they woke up December 1 it would be waiting for them. Alas, in true “World’s OKAYest Mom” fashion, it didn’t happen like that. But I DID manage to get it set up during my lunch break yesterday (working from home has such great perks), so it was waiting for them when they got home from school. On December first! So still a win in my book! Being that this is the 5th year we’ve done this, I tried to mix in some new activities along with the standard favorites. I’m marking the new ones with a * in my list below. December 3: Deck the halls! December 4: Go shopping for the local food pantry. – Every year the elementary school does a food drive for our little community. I give each kiddo $10 to buy food. December 5: Do you wanna build a snowman? – Decorate bedroom doors like snowmen. December 10: SANTA project shopping – SANTA stands for Sharing Among Neighbors Toy Appeal – another local community project. Each kiddo gets $10 to buy various stocking stuffers to donate to the program. December 11: Go get a Christmas tree! December 14: Winter activity book – whatever holiday themed activity book(s) I can find in the Dollar Spot at Target. December 15: Preschool Christmas program! December 17: Family Christmas movie night! This entry was posted in holiday on December 2, 2016 by katherine.